I like topics that drip through and affect other areas of the curriculum. If you don't get order of operations, it could haunt you for the next 5 + years. As oppose to say, circle theorems. I'll start by directing to Resourceaholic - there is almost everything you need on there. In fact, once you click on this link, I may never see you again. 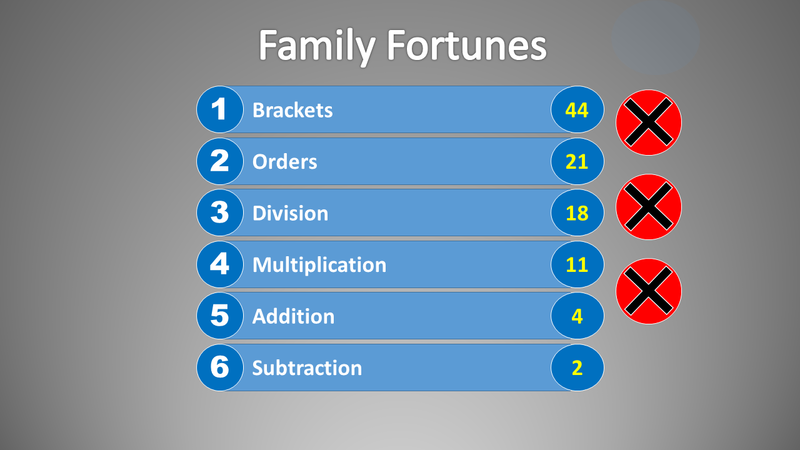 I start by playing Family Fortunes with the BIDMAS or BODMAS (whatever the school preference is) and ask the pupils to guess the order, with sound effects. It's not easy to upload this and explain how to set this up, but if you message me I will tutor the process. I then explain BIDMAS and PEDMAS (American version) too. And explain I can actually get two answers (zero and two). This causes great debate until we conclude that the negative in front of the two is IMPERATIVE. 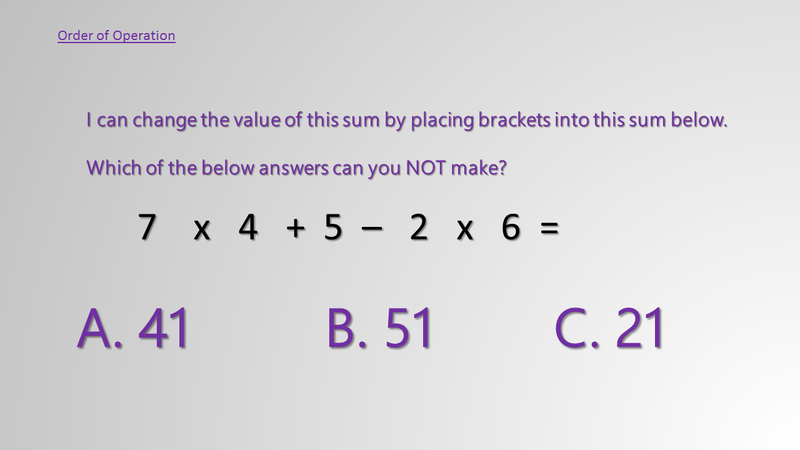 I use the order of operations settler as a competition - each person highlights five questions. Then they work out the answers. Then they add them up, and I give a prize to either the highest, lowest or nearest to 20 etc etc. Round Robin Bidmas is a good activity. The idea here is each person answers a question, but the others do not say anything - they also do not correct anything. Then, when it is done, they check all the answers together, looking for any mistakes. That is when the discussion is great and rewarding. Also some treasure hunts in the link too.